DNA molecule. Computer illustration of a vertical slice through a double stranded DNA (deoxyribonucleic acid) molecule. 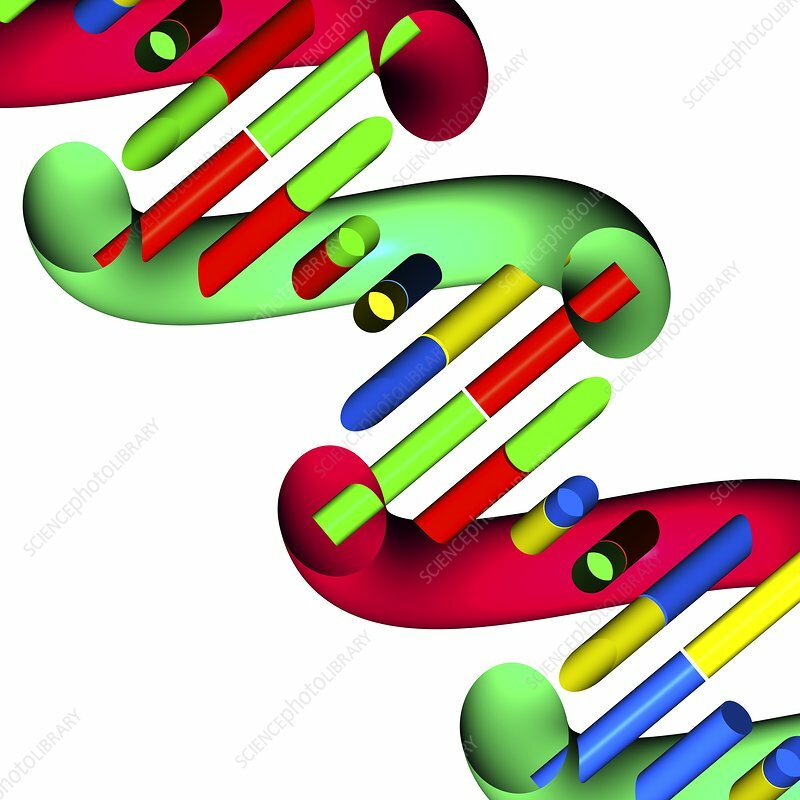 DNA is composed of two strands twisted into a double helix. Each strand consists of a sugar-phosphate backbone attached to nucleotide bases. There are four bases: adenine, cytosine, guanine and thymine, which are joined together by hydrogen bonds. DNA contains sections called genes that encode the body's genetic information.